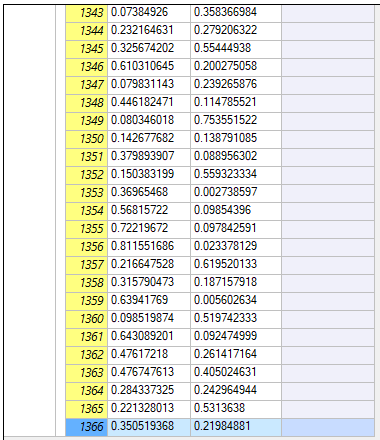 Let’s have some xml data in a table. 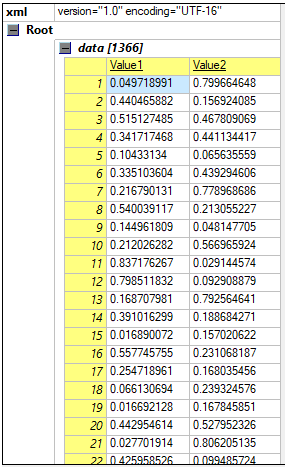 Our task will be to remove all table rows which have (for example) sum of row values greater than one. 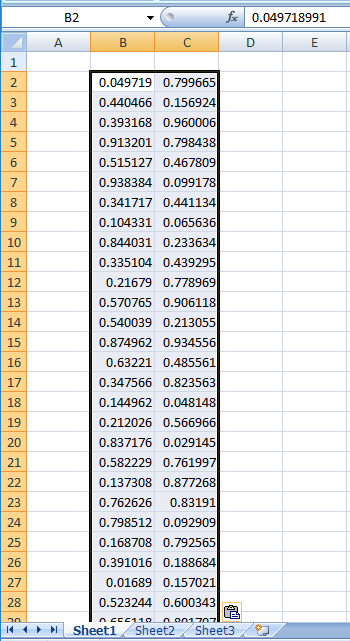 Firstly we select the whole table, copy data and paste them to Excel or some other spreadsheet editor. Now we create criterium conditions to distinguish between rows for keeping and deleting. 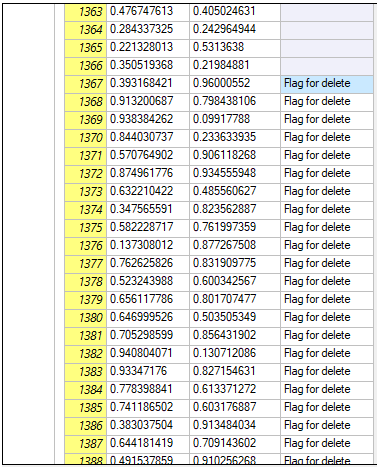 New created column we copy and then paste in the xml table. 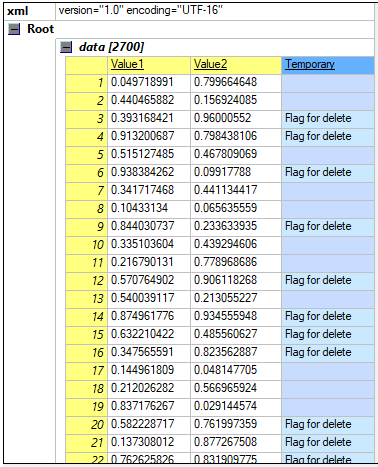 For this purpose we create a temporary column in xml data. 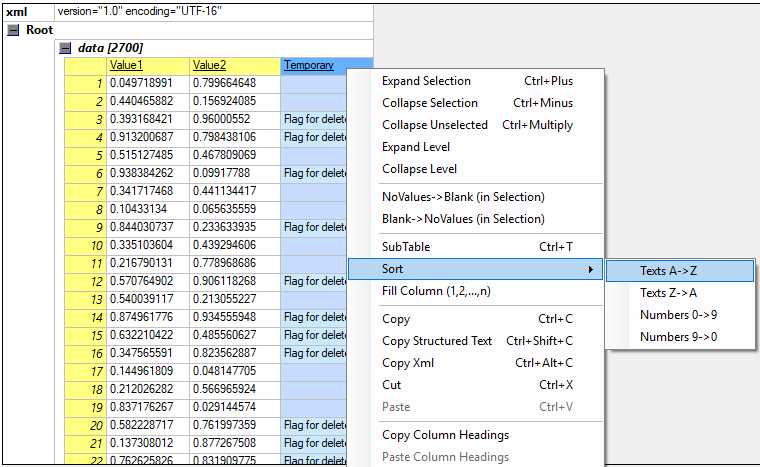 By sorting the temporary column we can separate rows for keeping and rows for deleting. 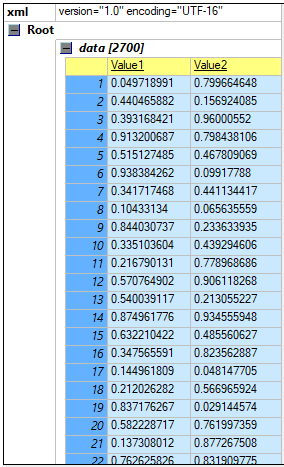 Sorting functions used in XiMpLe are so called "stable". That means the records with the same sorting value are not swapped. 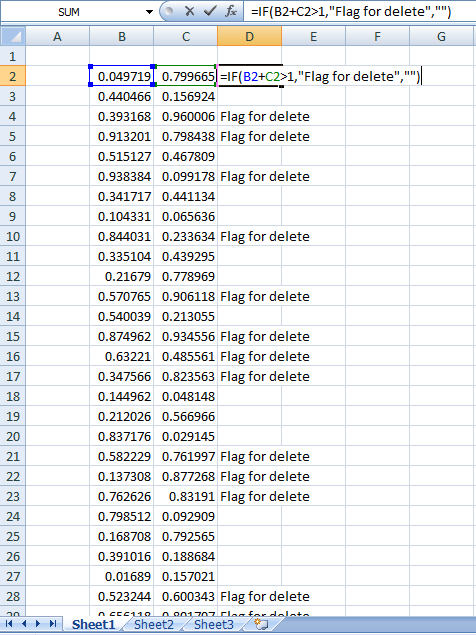 After sorting we have to find the first row with the "deleting flag". 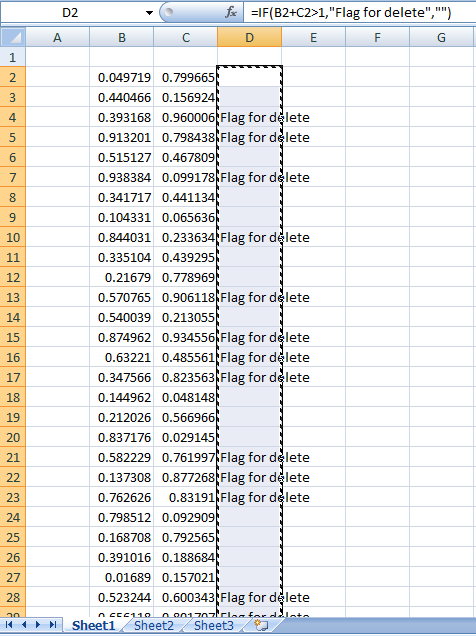 Hint: when the cursor is in the temporary column press the key Alt + down arrow to find the first non-empty cell. (shift is for keeping selection and ctrl + down is for jumping to the end of table). 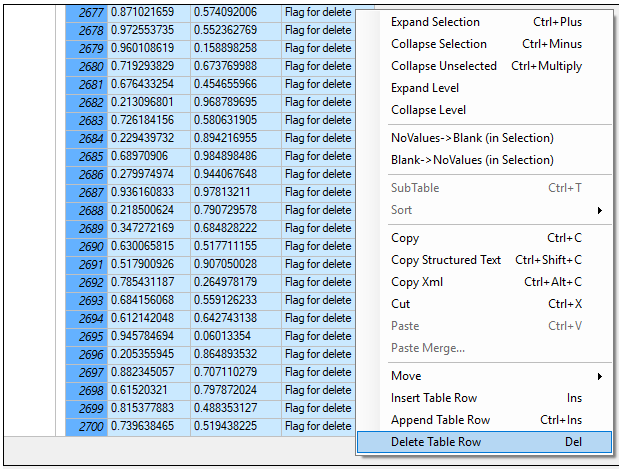 After that we delete all selected rows in the table. We don't need the temporary column any more so we can delete the temporary column and we are finished.